November 5, 2015, by Anum Yoon – For anyone, change is not always welcomed whole-heartedly with open arms, especially when it comes down to making a shift in your career. However, as veterans, it’s even more difficult to become acclimated with the rest of the world again. Let’s face it, working in the military has its own particular niche complete with your own language and expectations. So, transitioning back into the job market can be a big stress. However, you are not alone. Be proactive and find out how your service in the military makes you an excellent candidate for the job of your dreams. Reflect on how your past experiences and what you did on a daily basis can help you in your new career. Focus on your skills and accomplishments. How did you demonstrate leadership? Did you receive any recognition or awards for your service? Understanding what makes you marketable is the first step to landing a great job after your service. Once you evaluate your qualities, check out these great resources to focus your job search on a career that best fits you. Know that the job hunt is constantly changing and employers are setting higher expectations every day. Be confident in your search and use these six great resources to help become the most marketable veteran. 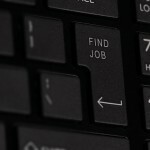 To get your feet wet, put your skills in a job search engine and keep an open mind for potential career opportunities. As you’re searching, make a list of company names and industries you’d like to work with by interest level. This will give you a good start to your job hunt. Next, make sure you begin networking and connection to those that could help you in your career endeavors. Think of old teachers, former friends and authority figures from your duty stations, and others that regard you in high esteem. Remember that saying, “it’s a small world?” Some of these connections may help you land a job or set you on the right course to success. Do your research. Before investing time and hopes in one company, make sure you use the Internet to your advantage. Find out your company of choice’s core values and needs. Are you a good fit for them? Would they think you are an asset to their community? Think of it as dating. You have to be a good match for each other. Just remember, job hunting takes time and you shouldn’t be putting all your eggs in one basket. There is no doubt that geography plays an important role in your job search. Maybe you’re set on your location and will not compromise a move. Or, maybe you want to venture into a new town or state. That’s a decision you’ll have to make. Just consider this: many jobs will let you telecommute from your residence. With the convenience of the Web, you can virtually work anywhere. Yet, if you really want to spend the time to find out what is right for you, take the Geography/Job Search Efficiency Test. By using search keywords combined with a location keyword, you can come up with many opportunities to fuel your search. Yes, age discrimination is illegal when choosing a candidate for a job. However, there are ways that employers focus on how your skills and experience make you the right candidate for them. Often times, it seems that age does really play a role. As a veteran searching for a job, how can you go about knowing what your potential employer wants? Put yourself in their shoes. 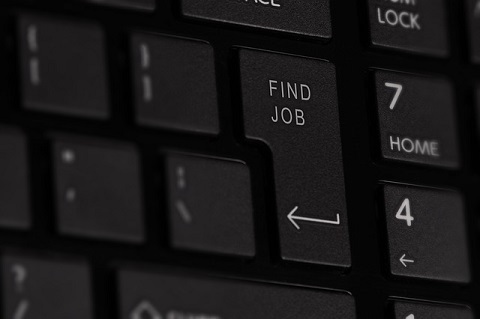 If you were looking for the perfect fit for your job position, what would be the key factors you would like to see? A lot of employers look for how much experience you have, how you exceeded expectations with your time in the service, how much knowledge you gained while in the service, and even your soft skills. Make yourself marketable and be prepared for these type of interview questions. Applying for a Federal job can be difficult. First of all, instead of a civilian resume, you have to adapt your qualifications to meet that of a Federal resume. Also, this process is done digitally, so it’s important to know all of your information and qualifications before you attempt to apply. 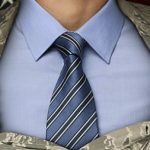 To get started, MilitaryResumeWriters.com is a great place to learn more and practice effective resume writing. This includes, understanding the job positions’ expectations and potential salary is a great start. Essentially, we are always concerned about how much money we make. While this is inevitable, you really need to remain realistic when searching for employment. Look for job positions that have a pay scale or a way to move up over time on the pay grade. First, figure out what kind of job you are looking for, whether it be hourly, salaried, etc., then determine if your qualifications will meet your monetary needs. 6. The Essential Question: Why Should They Hire You? Be confident and understand your potential. Do you have what it takes? Do you meet their specified qualifications and desires? There are thousands of people trying to get jobs. How are you above and beyond the average candidate? Showcase and market yourself. Think of unique attributes you possess and how you can use them to be efficient in the workforce. Never give up on the job search. It may be frustrating, especially when just exiting the service; however, this could be the perfect job for you. As long as you follow these tips and use these resources, you will have more than just a piece of paper to demonstrate your qualifications. Anum Yoon is a freelance writer based in Philly. She runs a personal finance blog for millennials called Current on Currency. Follow her on Twitter @anumyoon.